Everybody wants any material they buy to last them forever. But the reality of it all is that every material has a life span. However; a material can be rendered useless within the lifespan if it is not properly handled. For every material no matter how sturdy; needs to be handled with extra care. When you take some simple steps in taking care of your club; you make sure it is well maintained after every season; then you will get the best benefits therein. The tips below will ensure that your club is useful longer than you can ever imagine. The first step to ensuring that your club lasts the distance is the storage that you put in place for it after every use. It will not help your cause if after every use; you store your club in your car. Many are guilty of that. The high heat conditions will also not help your cause. It will shorten the lifespan. The best way to keep your club immediately after every use is to store it indoors. That is the safest way to keep it between sessions. There are times you are on the course and the heavens suddenly opened up. It may happen that you find yourself on the golf course immediately after a heavy downpour. Your club will definitely get wet. If you store your club in that wet state; then you are inviting issues that will not make it last you the distance because it will be exposed to rust. After a wet day out on the course; make sure you towel the club dry before storage. It will help prolong the life of the club. There is the need to keep the club dry at all times; to achieve this very easily; you are advised to purchase a golf towel. You can easily attach this to your golf bag and it will be handy always when you want to wipe the clubs. We are all aware of what a cover can do in keeping away the buildup of dirt on the head of your clubs. It is also a measure to reduce scratch on dents on the club. We talked about having golf today handy in the golf bag earlier on. It will come in handy here after every few rounds when you elect to clean your club heads. This will improve the lifespan of your club by removing all the dirt from the crevices as well as the grooves in the club head. 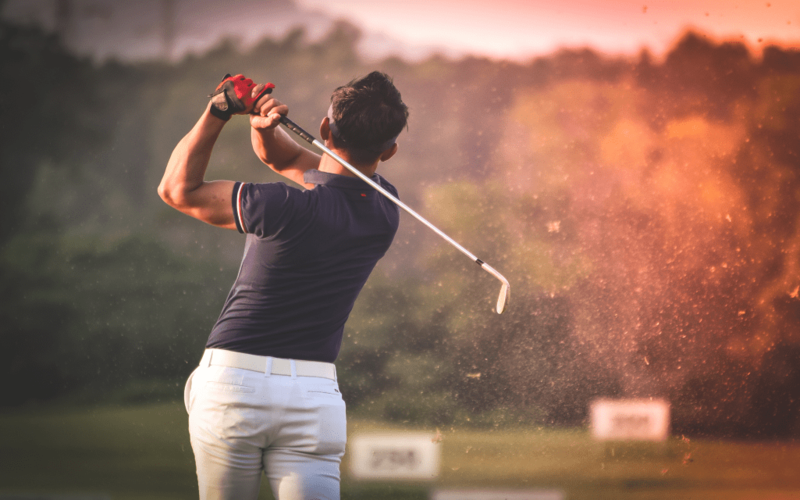 If you know the tricks on how to handle the best game improvement irons; then it will last you forever! It is also highly important that you look in the direction of your grip. This is one part of your golf club that you have to replace someday; so by taking care of it; you will go a long way to protect it to last you longer than expected. Make sure you clear your grip of sunscreen stains, sweat, dirt, debris. You can cheaply do this by cleaning and clearing it from such foreign bodies. When the signs above is/are evident on your grip; it is a clear indication that it is time to have a change of grip. No amount of care or cleaning will solve the issue at that stage; the solution is to get a new grip if you truly want to enjoy your golf. * The formation of dents noticeable on the shaft. * The appearance of nicks/splits on the shaft. The appearance of any of the signs above is an indication that it is time to have the shaft changed. No amount of cleaning will save the shaft because at that stage it has reached its yield point in usefulness to you on the golf course. The points mentioned above are the simple things that you ought to put in place to ensure that you enjoy your club for as long as you desired. When you notice any of the irredeemable signs, then you are not to waste time in getting a replacement if truly you want to achieve the best on the golf course.